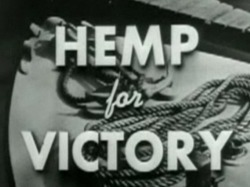 ...is a new short documentary film about the "Hemp for Victory" program created by the U.S. government during World War II. The film examines one small Illinois town that participated in the program. Many farmers in and around Polo raised hemp as a war effort, and the local historical society in town has documented that era. 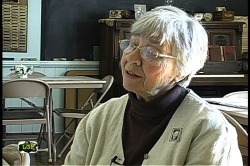 Residents of the town who grew hemp or recollect the episode were interviewed for the film. While American farmers are currently prohibited from growing hemp, Polo's farmers saw growing hemp as a patriotic duty during the war. Get the real story on hemp from real Americans who grew it. The documentary can be viewed for free. Below are links to part one and part two. A deluxe DVD of the film, which features higher quality images along with several bonus features, including the complete U.S. propaganda film “Hemp for Victory,” and longer interviews with participants in the program is available for sale. Just click "Buy Now." All Content Copyright 2009 Stephen Young, except the top photo of hemp, which is owned by the University of Wales, Bangor, and used with permission. All rights reserved.